Custom packages can be ordered by phone. New Product! In Stock! Order Today! SKU: WM-001-1. 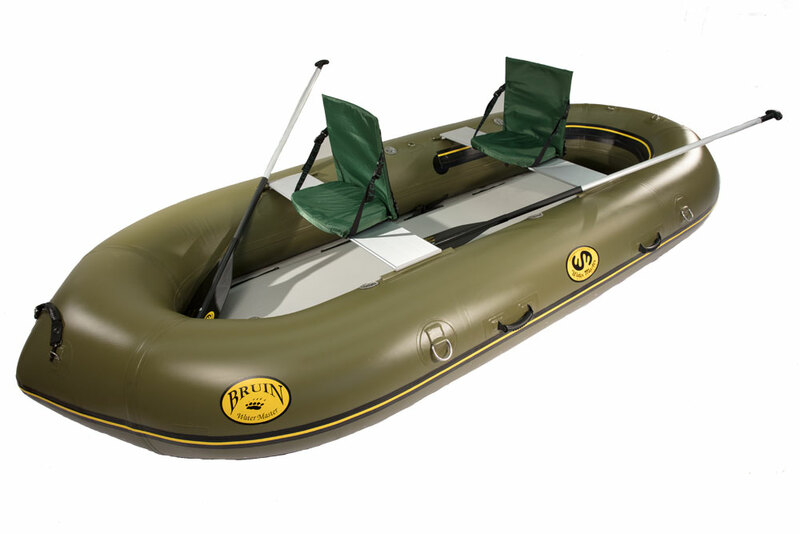 Categories: Rafts, Bruin. 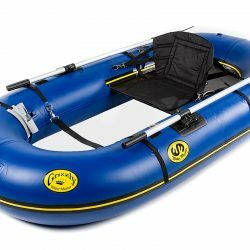 The Standard Package offers a light weight recreational raft great for paddling the family or friends on a lakes and rivers. 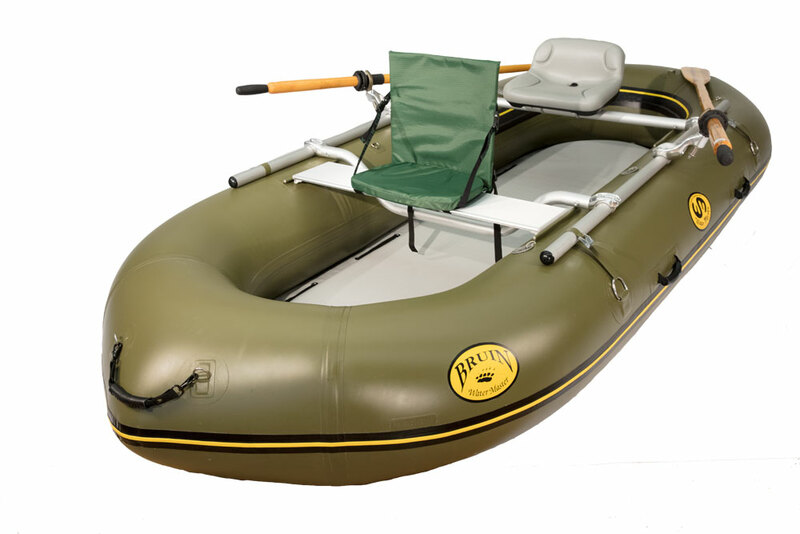 The two attachable benches and high back Crazy Creek seats provide enough seating for four people and gear. High pressure drop stitch floor - provides a flat and very rigid standing platform. 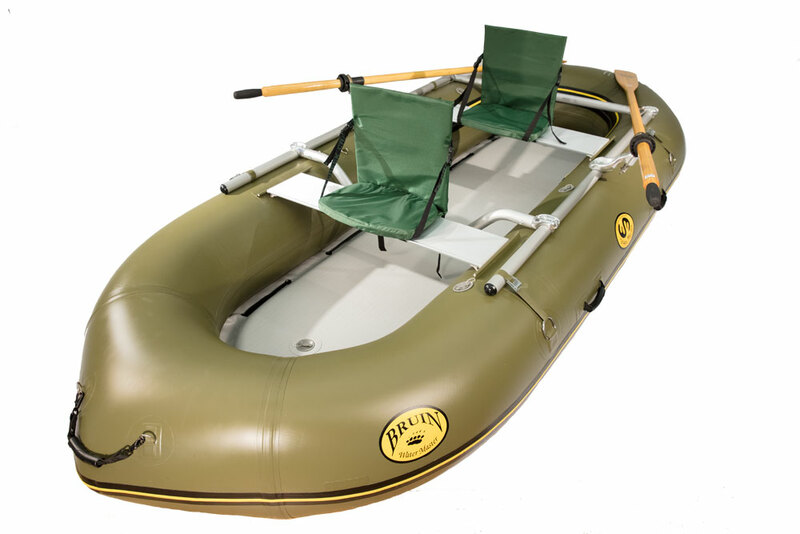 The Basic Frame Package offers a light weight raft with a very solid rowing platform. No heavy seats or extra bars to assemble. 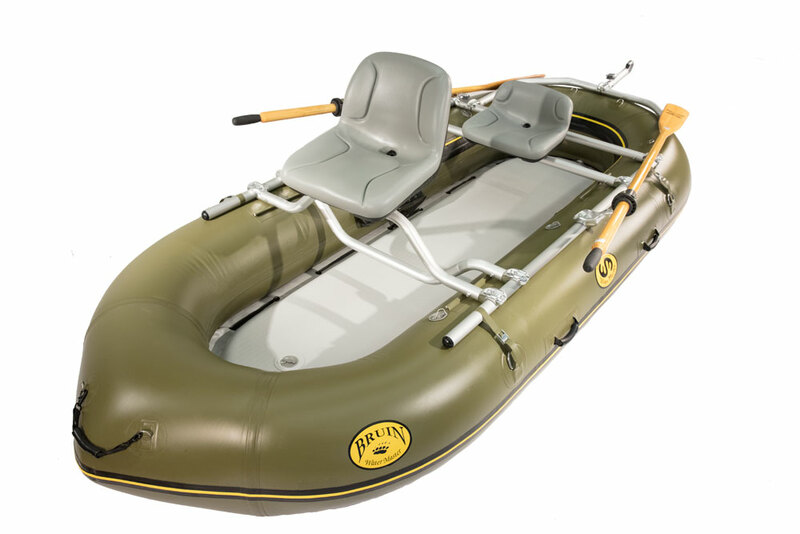 The Rowers package offers everything the previous packages do but with a solid rowing seat. Better for rowing big water and in fast current. Gives the rower proper support when rowing hard. 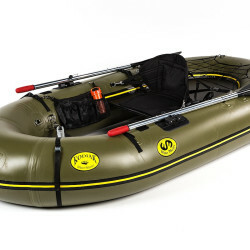 The Fishing package is the ultimate fishing raft for two people. 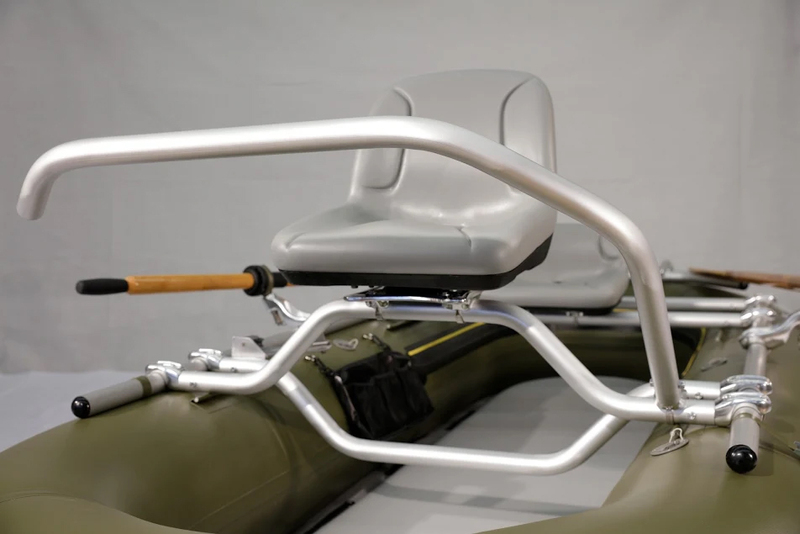 It provides a comfortable seat for both the rower and the fisherman. It also provides a high vantage point for the fisherman without even having to stand up. The anchor system that is included plus all the various accessories that can be added to the frame make it very versatile.